Hattie and I had another successful showing day last Sunday at the Diamond Equestrian show coming 1st in Best Turned Out, 1st in Style and Appearance and 3rd in Riding Club horse. Hattie is really going well in her new off-side side saddle and I was VERY glad to have it in the Riding Club Horse class when the judge whacked the jump up to 2ft! 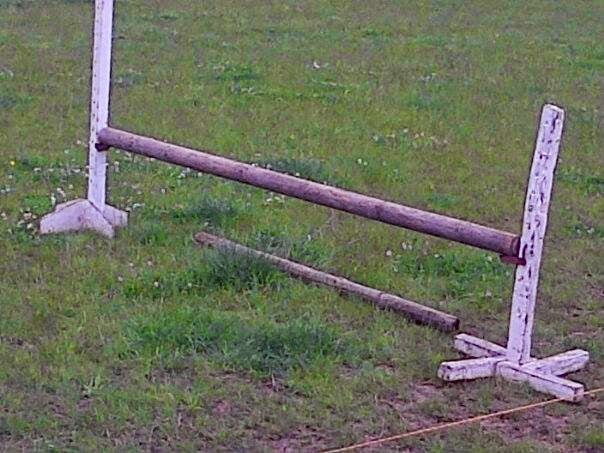 The jumps are usually about 1'6"- 1'9" in Riding Club classes which I feel comfortable doing but 2ft is still a little too high for a weenie like me to do without poo-ing myself. I was panicking as each rider before me did their individual shows and took the jump in their stride (it seems that a lot of people who enter RC classes tend to be show jumpers so they do not seem to care what height the jump is set at, lol) and then it was our turn. We did a nice walk, trot and canter on both reins with good rolling transitions and then let I Hattie have her head a bit as I didn't want her going to the fence in a full on collected dressage canter but still kept her motoring from behind (it's kind of like a rolling sensation from behind), said a prayer out loud and hoped for the best. She went to hesitate but then thought better of it and popper the fence in a less-than-elegant fashion. It wouldn't have been so bad but everyone was standing around to see if the side saddle rider would make it. We did, and I didn't die so that is good. 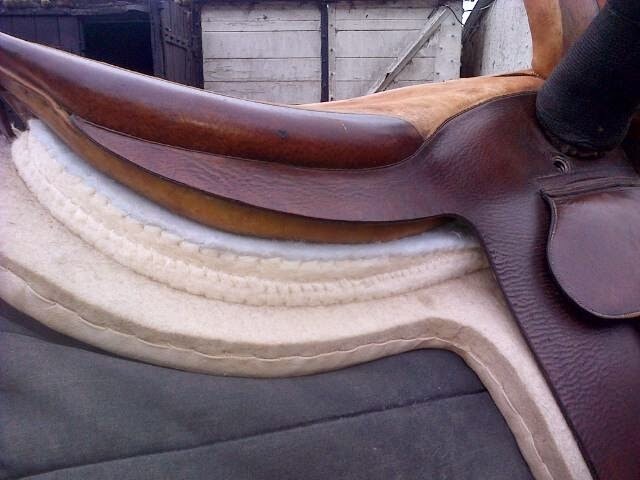 Another thing that got "put up" this week apart from the jump, was the wykham pad in my Champion & Wilton. For the past 1-2 months of riding Possa in it, I have just felt that the saddle was dropping ever so slightly away from under my right thigh. I wasn't sure if it was just Possa as the saddler had originally been fitted to Hattie but I tried it on Hattie and it did the same thing so got the saddler out. It had shimmed it up with new felt at the end of September/October so thought that it was probably just the new felt bedding down so he added another thicker felt shim to lift it up a bit more for Possa. I rode her in it on Wednesday again and the saddle is a good fit but she is generally weaker on the right rein (polo ponies don't really do the type of schooling dressage and showing horses do) and she tends to drop away from me on the right rein, especially on bends. I found after working her on circles and doing lots of transitions so she was using her back more, that "dropping sensation" on the right rein, virtually disappeared at the end of our schooling session so think we need to work more on that. In this case, the dropping away" sensation I felt was caused by the saddle AND the horse but at last now that I know the saddle is fitted perfectly to her, I can work on Possa's schooling to build up the muscles more on the off-side.